China’s ties with other major powers took a sharp turn for the worse in 2010. Its leaders need to change mindset, says Minxin Pei. 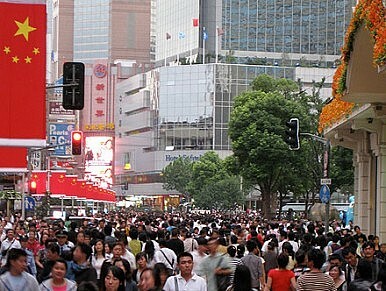 The China the world sees at the beginning of its new year hardly resembles the one of a year ago. At home, inflation and public resentment are rising. While political elites in Beijing jockey for power ahead of the transition to a new generation of leaders, average Chinese citizens are venting their anger and frustrations over rising prices, corruption and unaffordable housing. Overseas, meanwhile, China’s external environment has deteriorated so significantly that many veteran observers are saying that its relations with major powers and its neighbours are the worst they’ve been since the dark days of the Tiananmen crackdown in 1989. Judging by the enormous domestic and foreign policy challenges Beijing faces in 2011, perhaps the most optimistic thing that can be said about how China will fare in the year ahead is that since most of the damage to its economic health and foreign relations is self-inflicted, Chinese leaders are better positioned than anyone else to repair the damage. Of course, rectifying mistakes isn’t the only path—things could conceivably get worse if politicking on the eve of the leadership transition gets in the way. At home, the most critical issue is, without doubt, taming inflation. Over the past decade, China has adopted a loose monetary policy (printing far too much money) and maintained financial repression (keeping deposit rates negative and loan rates artificially low). Such a combination may have delivered double-digit growth because it unleashes a torrent of funds available for China’s investment-driven development. But it also inevitably results in rising prices and asset bubbles (in China’s case, a housing bubble in urban areas). Combating inflation requires not only short-term measures such as raising interest rates and revaluing the currency. A long-term solution lies in difficult financial sector liberalization, fiscal reforms and privatization. Since China entered the World Trade Organization, the economy has become, contrary to expectations, more statist and less liberal. Supported by easy access to credit and government protection against competition from foreign firms and the private sector, state-owned companies now dominate key sectors of China’s economy (finance, banking, energy, telecoms services, natural resources, steel and automobile) while the business climate for dynamic private firms has deteriorated significantly. At the same time, local governments collude with real estate developers to maximize their revenues from the booming residential housing market. Because of an implicit deal between local governments and Beijing, Chinese provinces and municipalities derive nearly half of their fiscal revenues from land sales. In other words, high housing prices are an inevitable outcome of the current Chinese fiscal system because they are simply taxes in disguise. So making housing affordable for the average Chinese means lowering taxes. Unfortunately, the structural reforms required to rebalance the Chinese economy and address the underlying causes of inflation will be politically impossible in 2011. They will hurt interest groups that have influence during leadership transition. Many top executives of state-owned enterprises and provincial leaders are members of the Central Committee of the Communist Party and senior leaders in Beijing need their support in gaining coveted seats on the Politburo for themselves or their protégés. Such reforms were deemed too difficult when the Chinese economy was in much better shape and the leadership transition was a dormant issue. Today, they are simply out of the question. So the best that can be expected on the economic front is window dressing and short-term fixes. Aware of the lethal danger of inflation, Chinese leaders will deploy all the policy tools at their disposal: raising bank reserve requirements, hiking interest rates, imposing price controls, limiting fixed investment projects and rationing credit. Such measures may have a short-term effect, but they won’t cure the underlying ills of the Chinese economy. And Beijing also needs to be careful about stepping on the brakes too hard. All of these measures will slow growth—if they are applied in panic, the Chinese economy could have a destabilizing hard landing. But compared with the cooling off of its domestic economy, repairing China’s battered ties with the United States and neighbouring countries may be even tougher. It’s unclear whether Chinese leaders genuinely understand how much damage they’ve done to their foreign policy, and the causes of their mistakes. What’s alarming about China’s international behavior in 2010 isn’t a single catastrophic blunder, but a series of assertive and arrogant acts that have totally discredited China’s declared policy of ‘peaceful development.’ It’s highly unlikely that these acts were dictated by a clear-cut change of course at the highest level of the Chinese government. To think so would give too much credence to the idea of an efficient and cohesive Leninist regime. In all likelihood, China’s foreign policy disasters in 2010 reflect a new mindset, one that combines arrogance (our rise is unstoppable), misjudgement (the United States is declining and can’t do much about China) and renewed hostility to the liberal order (Western democracies represent an existential threat to the Communist Party’s political monopoly). Changing such a self-destructive mindset will clearly take some time, and may need practical proofs, in the form of push-backs by the United States and its allies and friends, that such a mindset endangers China’s national interests. The good news here is that the Chinese are pragmatists as well, and however they might interpret their diplomatic setbacks in 2010, what’s clear now is that they’ve started a process of damage repair. The focus of this process in 2011 is on stabilizing all-important Sino-US relations. President Hu Jintao’s state visit in late January set the tone, even though there were few substantive outcomes. In specific terms, we could see China take some active measures to placate US anxiety and concerns. China’s currency appreciation vis-à-vis the US dollar, for example, will most likely continue, albeit at a measured pace (roughly 5 percent to 6 percent in nominal terms, and higher in real terms if inflation in China is factored in). On other bilateral economic issues, Beijing may adopt a more conciliatory tone on intellectual property rights and market access. A few firm-specific concessions may be made as signs of China’s willingness to respond to US complaints. On the security front, China will also likely use more pressure to restrain North Korea, its troublesome client state, so that tensions on the Korean Peninsula remain under control—reconvening the Six-Party Talks will be China’s top priority. Even though such talks have proved to be ineffective in getting the North Koreans to denuclearize, China believes that as long as the talks are held, the North Koreans will behave themselves. Of course, given the scepticism in Washington over the usefulness of engaging a rouge state that keeps breaking its commitments, Beijing will have a tough time selling this idea to US policymakers. However, recent revelations that Pyongyang has made huge progress in its uranium enrichment programme may motivate Washington to reconsider its options. Given the rapid advances in China’s military modernization, Beijing will be hard pressed this year to alleviate the suspicions of Washington that its new capabilities are directed at the United States and designed to deny US armed forces the ability to operate freely in East Asia. Obviously, no one expects China to suspend its defence modernization. But maintaining a more open channel of communication with the US military and taking concrete steps to avoid accidents (such as signing an incidents-at-sea agreement) can help. The Obama administration, particularly Defence Secretary Robert Gates, has pressed the Chinese to be more forthcoming in the US-China military-to-military exchanges, and there may be some modest progress in this area over the course of this year. More difficult for China is how it’s going to fix its ties with Japan. After needlessly humiliating Tokyo over the detention of a fishing trawler captain in 2010, Beijing has a lot to do to earn back the goodwill of the Japanese elites and public alike. In this respect, the least Beijing can do is tone down the anti-Japanese rhetoric in the media, stop sending fishing or naval vessels into disputed waters to avoid ugly incidents and resume high-level dialogue. These aren’t just bitter pills to swallow for Beijing—they may be the minimum requirements for thawing the Sino-Japanese freeze. A second challenge in Asia for China is to reassure its jittery neighbours in Southeast Asia. After carelessly declaring that the South China Sea is part of its ‘core interests’ last year, China has scared a group of states it has spent the last two decades assiduously cultivating. To regain their trust, China will have to adopt a new approach toward the disputes in the South China Sea. Ending the loose talk of the South China Sea being its core interest seems to be a must. Addressing Chinese neighbours’ concerns about the building of dams in southwest China that may have contributed to the severe reduction in water levels in the Mekong River is another. It’s hard to know whether Chinese leaders view rebuilding Beijing’s ties with Washington, Tokyo and Southeast Asia with any degree of urgency. If they do, and if they take appropriate policy measures, they may still have a bumpy ride this year—but at least it will be a huge improvement over 2010.